Trashing the report on 2G scam by Justice Shivraj Patil, former telecom minister Arun Shourie on Tuesday accused Union Minister Kapil Sibal of trying to save former telecom minister A Raja by functioning as his advocate. 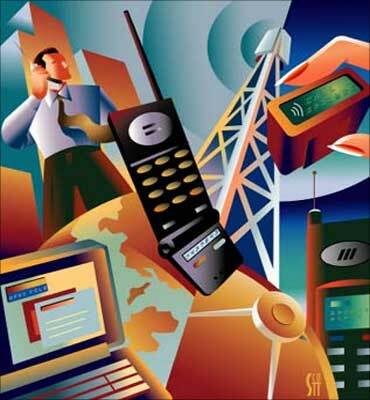 "Telecom Minister Kapil Sibal is an advocate of A Raja. He always tried to save Raja by saying that he had informed everything to the prime minister," Shourie said. He said the report by the former judge appointed by the government in December is a complete misrepresentation and distortion and it only helps the government. 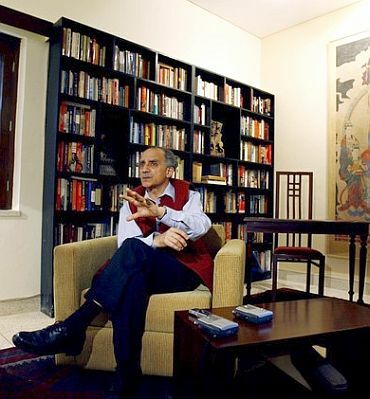 Image: Former telecom minister Arun Shourie. The report had said all procedures followed by the National Democratic Alliance government in 2003 as also by the United Progressive Alliance government till 2008 were not transparent and that it was not done in a fair manner. "Sibal is lying," Shourie said, adding that A Raja changed the priority list for spectrum allocation in 2008 and advanced the cut-off date to help certain companies. "A handpicked judge gives the report to the government which is so convenient that they can derail the issue. It is a perversity. How can documents be suppressed," he said, blasting the report and Sibal. "I have the documents which were suppressed and not placed before the CAG (Comptroller and Auditor General)," Shourie said. 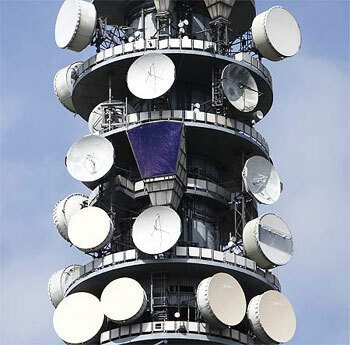 The CAG has estimated the financial loss to the exchequer in the allocation of 2G spectrum licences by Raja, now under Central Bureau of Investigation custody, at Rs 1.76 lakh crore (Rs 1.76 trillion). He said that while "Justice Patil says we (the Bharatiya Janata Party regime) deviated from Trai recommendation, actually every single Trai recommendation was adhered to by us in letter and spirit." Image: (Inset) Justice Shivraj Patil. "On every single matter of this we consulted Trai and acted accordingly. This was done in consultation with the finance ministry. Member Finance was sitting on every meeting. His signatures are on every decision including 'first-come, first-serve'," he said. On the charge of wrongdoing in distributing spectrum during NDA regime, Shourie countered it saying, "This was not the Manmohan Singh cabinet that the ministry could do anything. It was the Atal Bihari Vajpayee's cabinet. You could not do one millimetre more than what Cabinet has decided." 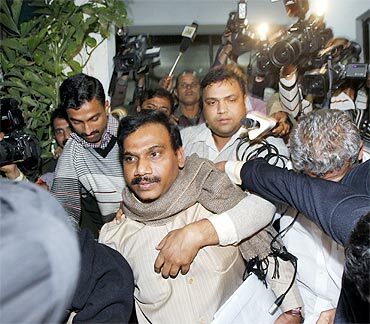 The CBI arrested Raja on February 2 in connection with its probe in the 2G scam. "Sibal gives half truths. He is not the advocate of the government. He is advocate of Raja and with every press conference he holds to protect Raja and implicates the prime minister." Shourie, however said, that he did not agree with the estimate of the CAG on the losses incurred to the exchequer on 2G. 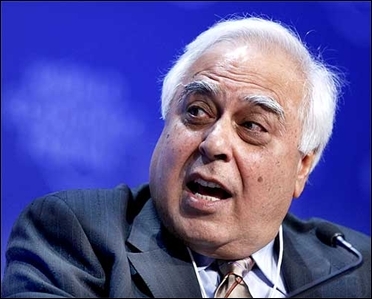 "Sibal has said that Raja had kept the prime minister fully informed of every decision. In that case what was Manmohan Singh doing for the last six-and-a-half years when the loot was going on?" asked Shourie. He said Raja had suddenly advanced the date for accepting applications for spectrum licenses which was fixed for October one, 2008. "He (Raja) does not disclose that they changed the basis of first-come-first serve...It will not be the date of application but the date on which the letter of intent was fulfilled. Among the conditions were that you bring Rs 1,650 crore (Rs 16.50 billion) by bank draft within 41 minutes," he said. There was 'misrepresentation' of facts in the Patil report which Shourie termed as a 'fabrication' by Sibal. 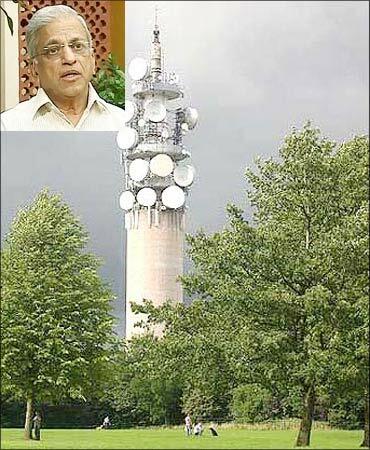 Justice Patil was appointed in December to scrutinize the procedure relating to 2G spectrum allocation. Raja was forced to resign in the wake of the CAG report and Sibal asked to look after the key ministry. 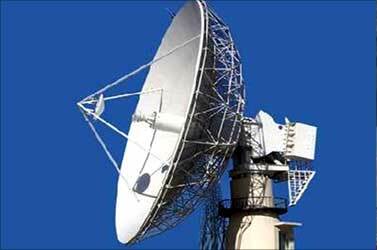 The Patil report said that there has been no transparent decision in the allocation of spectrum since 2003. It blamed the NDA government, of which Shourie was a part, for introducing faulty policies, including the 'first-come, first-serve' policy for companies who applied for spectrum.